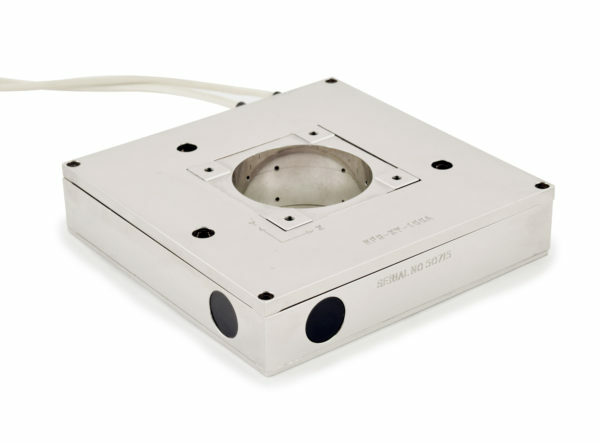 The NPS-XY-100 is a piezo scanned flexure guided stage with integrated capacitance position sensors and is capable of sub-nanometer resolution and reproducibility. Finite element analysis of the flexure guidance mechanisms has reduced parasitic angular motions to less than 25 micro-radians over the full 100 micron range. The unique isostatic mounting system ensures that stresses from the mounting system are properly relieved and establishes the center of the stage as the co-ordinate reference point. 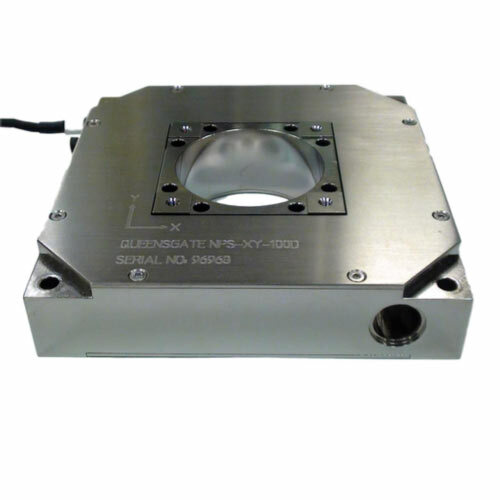 The NPS-XY-100A Two Axis 100µm x 100µm Stage Super Invar – is made of Super Invar construction (CTE 0.3ppm K-1) which minimizes thermal drift, on a nanometer scale this is very important. With 3 point kinematic mounts. The NPS-XY-100D Two Axis 100µm x 100µm Stage Super Aluminum – is made of Aluminum. It has the best resolution, fastest dynamics of the XY-100 range and is the most cost-effective. It includes 4 corner mounting for simple installation.